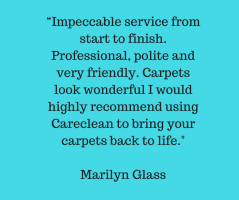 Careclean has been carpet cleaning in Essex for over 34 years. However the first question we usually get asked hasn’t changed: how much do you charge? It’s a good question! However, it’s also quite a tricky one to answer as we provide a variety of cleaning options. In this article, we talk through the various factors that affect Careclean’s prices. Clean Only – although this is our lowest price option, you still get our highest quality, professional clean including: high filtration vacuum, pre-treatment to problem areas/stains, high quality clean with our top of the range truck mounted hot water extraction machine, upholstery grooming, and the use of a rapid dry system where possible. Clean and Protect – you get everything in the ‘Clean Only’ option plus stain protector applied. This option increases the price by about 30% however it is well worth it! This will protect against permanent staining, help to keep the carpets and upholstery cleaner for longer, and ultimately make them last as long as possible. Maintenance Plan – You get everything in the ‘Clean and Protect’ package which is discounted by 50% for your first clean. We then return in 6 months to carry out a FREE re-fresh highlight clean. Furthermore, whilst on the plan you will get unlimited spot and stain call-outs. Finally, you also get a fantastic 20% off all our other services. Prices start from £25 per month. Looking for a budget cleaner? Unfortunately if you are looking for a budget cleaner, we are not your company. We have 34 years’ experience in the field. All of our team are fully inducted and trained, and the service we offer is premium quality. As a result, we only use the best tools for the job. 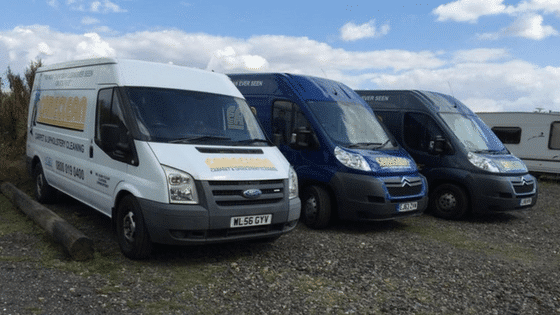 That’s why we use a top of the range truck-mounted cleaning system, which gives the best possible clean to our customers’ carpets and upholstery. We are also proud members of the National Carpet Cleaning Association. Members are required to attend training courses and prove they have FULL insurance cover as part of their membership criteria. Although we may appear more expensive than other local companies, our cleaning methods and equipment mean your carpets and upholstery will stay cleaner and keep their value for longer. In short, our services are excellent value for money. Furthermore, we are so confident of our cleaning that we offer a full money back guarantee if you are not satisfied with the job. Due to all the factors above, we prefer to visit your home and give you a free Healthy Home Audit. This will allow us assess your needs and the various factors above, and as a result we will offer you 3 different cleaning packages/prices to choose from. Call us today on 01245 323 989 to book in your free quote. Careclean has been carpet cleaning in Essex for over 34 years and has a vast knowledge of carpet and upholstery cleaning and maintenance. We post a bi-weekly blog, which often includes carpet and upholstery cleaning tips and guidance on keeping your home clean and healthy. Click here to check out our blog. You can also follow us on Twitter and Facebook to keep up to date on all the latest news and offers, and visit our website for more information.